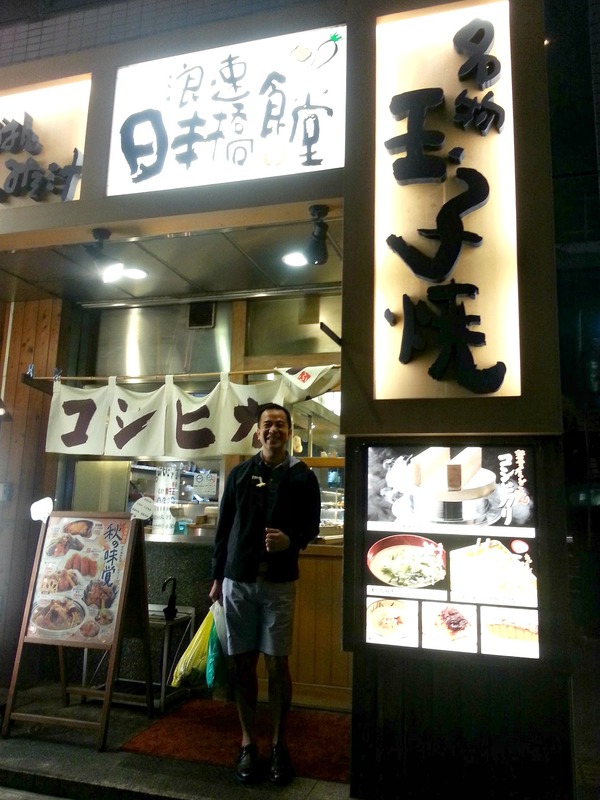 There is one plain and simple food establishment in Osaka that my family has dined at. It is so plain and simple that we actually failed to inquire with their very few and quiet staff on what the name of their intimate restaurant was. What is so striking about this place is that it obviously does not seem to cater to tourists. As we have observed me and Nengkoy were the only tourist guests inside while the rest of the dining folks were the uncomplicated locals of the city. Uncomplicated meaning the unfussy office workers and blue-collared souls that keeps the economy of Osaka running. They are the austere Osakans who seem to have simply gone hungry and decided to grab a delicious meal prior to heading back to their respective homes. They are the type who seem too tired to prepare their dinner and instead settled for a low-cost yet sumptuous Japanese meal. Another strikingly divine about this restaurant is their food. 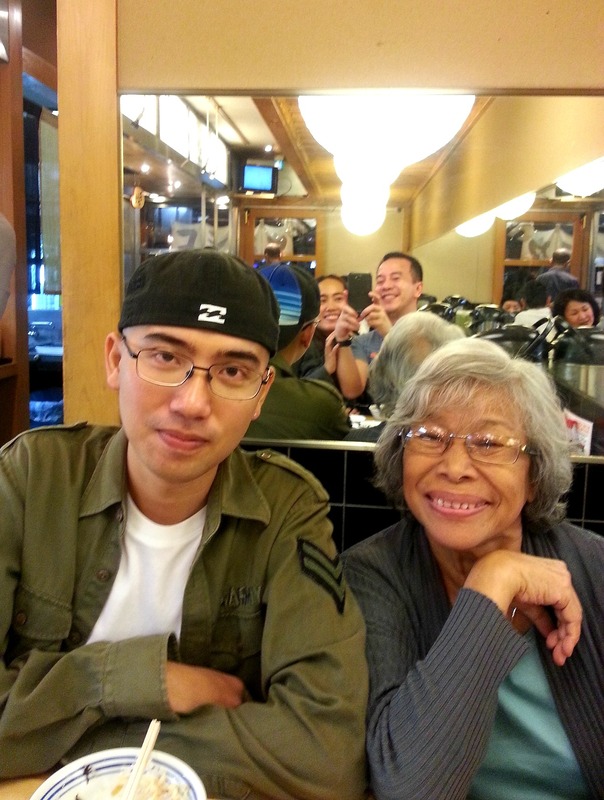 It features dishes that are not the mainstream and well-known Japanese cuisine yet considered classic. These are the diverse varieties of Okazu. If the Philippines got ulam (viand), Japan has Okazu. The side dishes of Japan that are usually accompanied with rice. But since Okazu are commonly small in portions, these are comparable to tapas or the small dishes of Spain. I particularly like the fact that each dish are served in small portions. This makes the customer enjoy, explore and savor varying dishes in one seating as if having a grand feast yet still very desirable for it will not result to gaining too much weight. It is so obvious that preparing these beautiful dishes at home would take so much time, skill and effort. 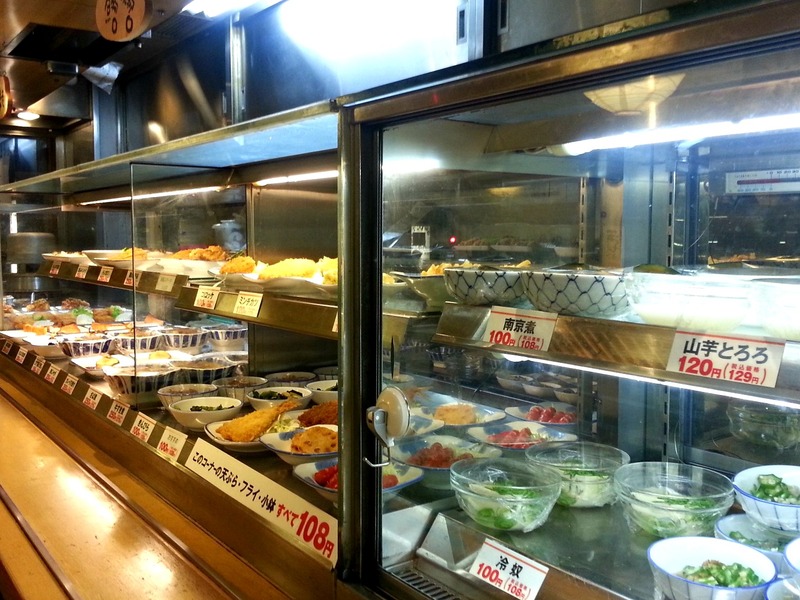 Thus, it is not surprising that regular Osakans would rather flock these types of modest yet charming eateries.